Markbass – the Italian bass gear master builders – premiered a number of products at this year’s NAMM Show, including the newest bass head in their catalog, which is the Markbass Little Mark Vintage. 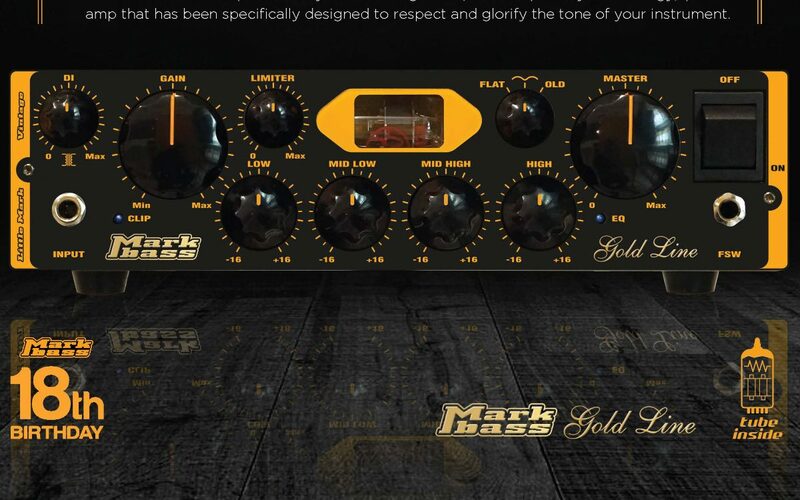 The Markbass Little Mark Vintage is part of the high-end Gold Series inside the DV Mark catalog, and has been designed to offer something interesting to bass players searching for both modern and old school sounds. Quite recently, Markbass also introduced a bass head bearing the legendary Stu Hamm‘s signature – the MB S.T.U Amp 1000. Certainly, also worth checking out!